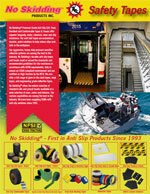 Reduces slips on steps, railway ties, walkways, wooden decks, marine applications, bridges, etc. 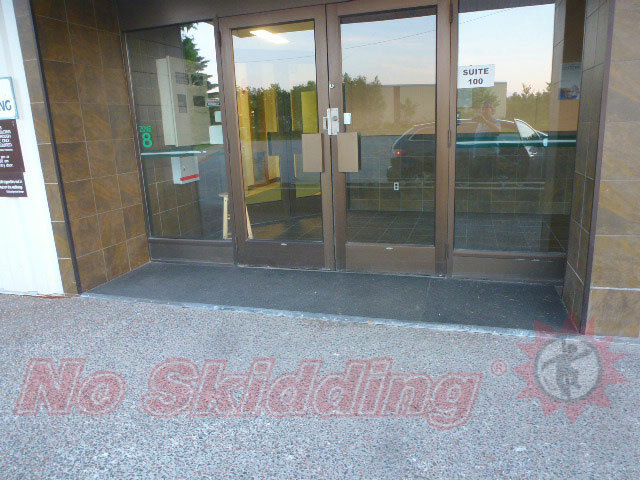 Used in both indoor and outdoor applications. 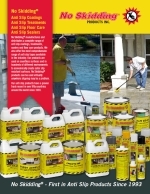 Suitable for concrete, wood, brick, stone and metal. Can be fixed permanently with screws or adhesive. 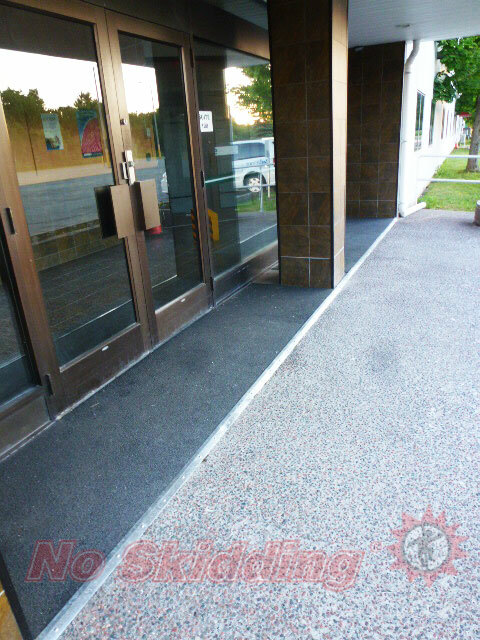 Suitable for outdoor environments where anti-slip tapes can’t be applied because of winter weather constraints. 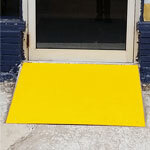 An even more cost effective option to our Step Covers when a nose is not required. 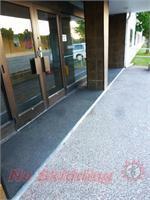 Easy to install - can be screwed into place or glued into place with a urethane / polyurethane adhesive. Provide immediate anti-slip safety with almost indestructible Anti-Slip FRP Flat Plates & Treads. 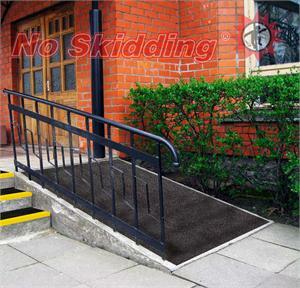 No Skidding® FRP Treads are suitable for interior and exterior stairs made of concrete, wood, stone, metal or brick to rapidly remedy slippery areas with minimal downtime. 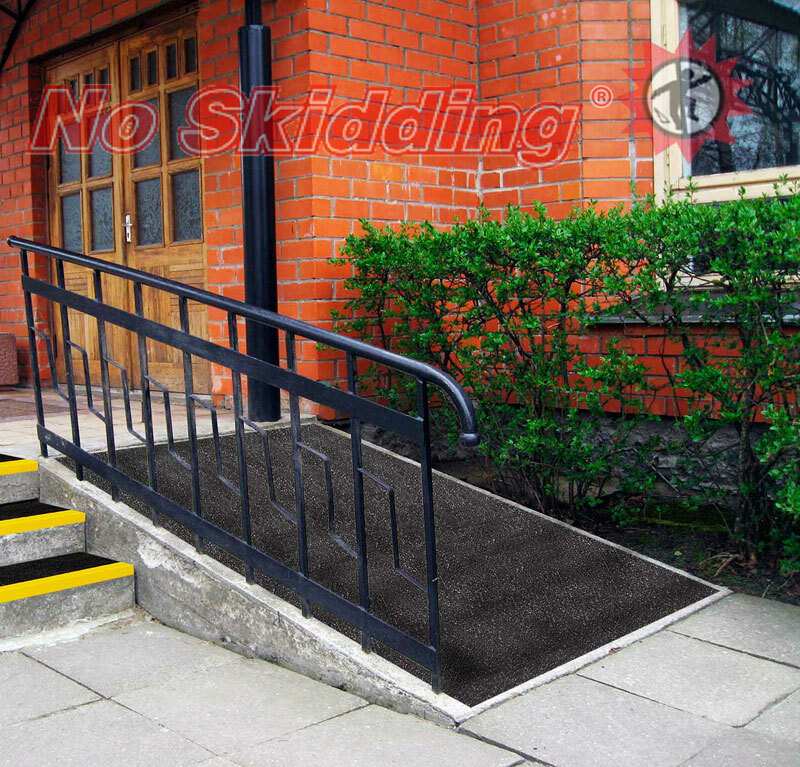 Unlike Anti-Slip Coatings or Anti-Slip Tapes, No Skidding® FRP Step Covers and Treads can be installed in winter and are ideal for application in very cold or wet areas where the application of a coating may be impractical. Please note, certain sizes may require 2 to 3 weeks lead time. 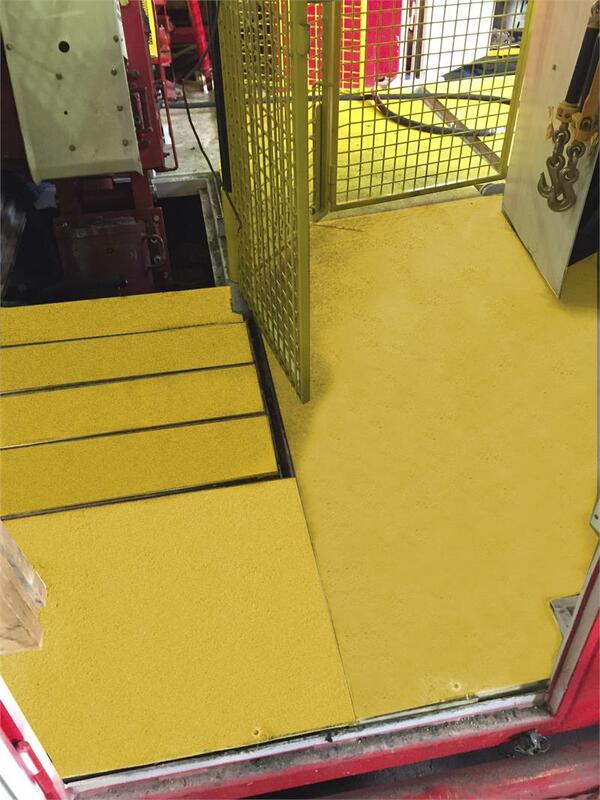 For more information, please visit this product Anti-Slip Fiberglass (FRP) Solutions Print in PDF and FRP Installation Guide. 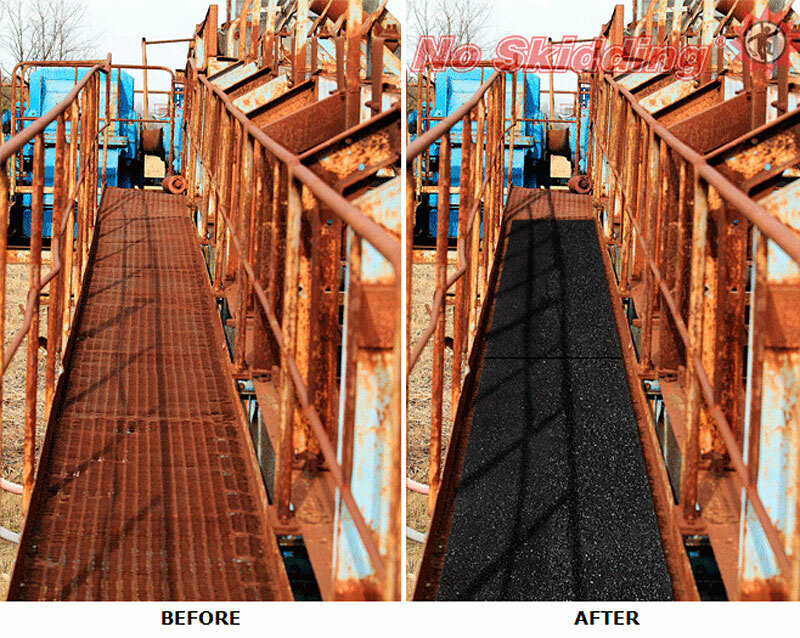 Grating Clip Kit for installation of FRP Step Covers and Ramp Panels onto grating. Kit includes 2”- ¼” Truss Head Stainless Steel Bolt, Nylon Nut and 2” Galvanized Grating Clip. 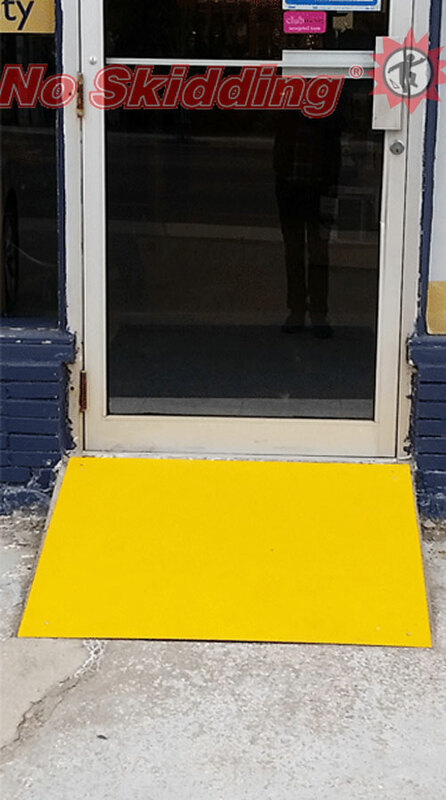 Fasteners needed for our fiberglass step covers, ramps and strips. Suggested every 12 inches.